Living in a tiny house makes a lot of sense for a single individual. 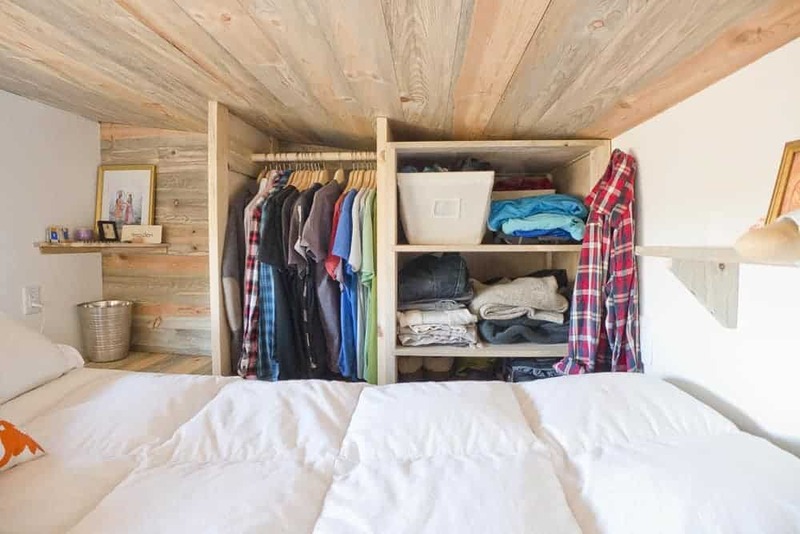 Tiny houses can provide all the basic necessities in one compact package – with just enough square footage to feel at peace and at home in your space. Those who choose to live in tiny houses often live with their pets as well, which can bring up its own set of challenges. We’ve written about this too. But what about sharing a tiny house with your significant other? 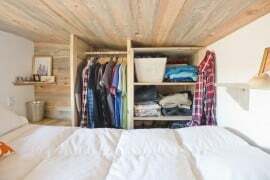 What’s the difference between a tiny house designed for a single person and one designed for a couple? What special needs arise and what compromises need to be made when a couple lives in such tight quarters? It turns out there can be a lot of additional needs for a couple that must be considered, even prior to building. 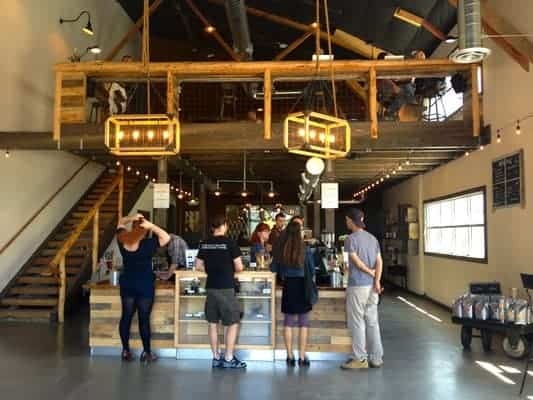 Additional functionality and consideration of the space must be planned for ahead of time, and designed into the home, for daily tiny house life to run smoothly for a couple. Read on for specific details. Let’s start by stating the major challenges. All of these stem from fact that the house is…well… tiny. What this means is: There are no truly separate rooms, no doors (aside from the bathroom), no complete silence or privacy for one of us while the other is at home. Moving around the house, working, prepping meals; all these activities are done while nearly touching, or within very close proximity. These compromises are not easy to make. For some people it works, but for others it doesn’t. 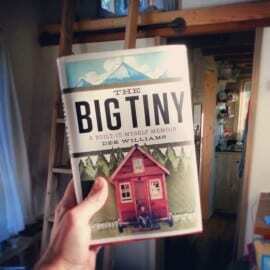 There can be a big difference between the charming idea of tiny house living and actual daily life in a tiny house. Examples of success and failure. Shane and Carrie chose to move into a larger apartment. 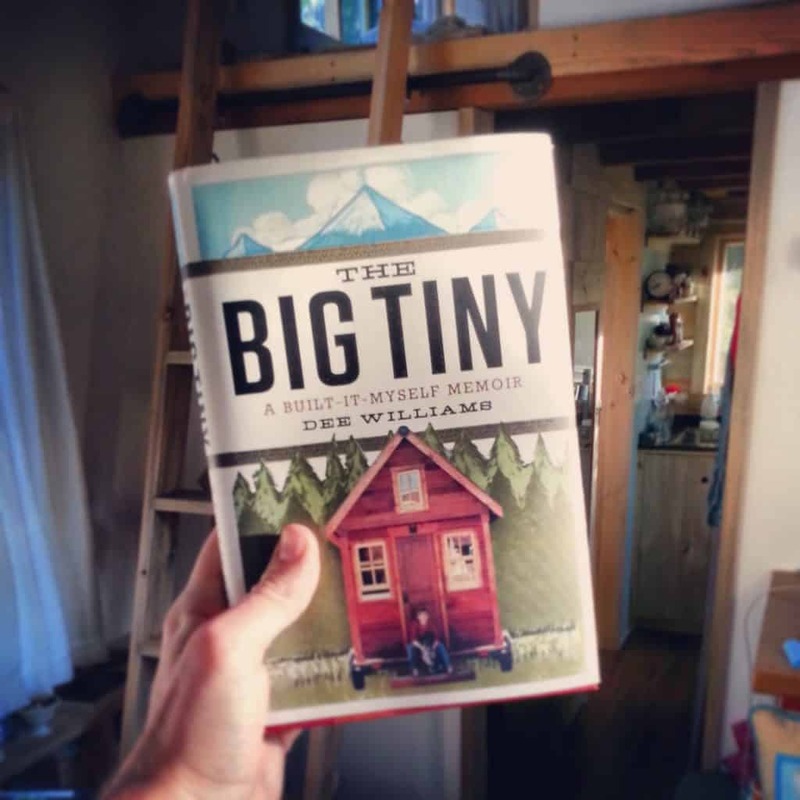 Their tiny house could not meet both their needs, long-term, as they explain here. Tammy and Logan are a great example of a couple that has made it work, in a smaller house than ours, no less. Though they have plumbing in their home, they live a beautifully simple life and decided they’d utilize Logan’s parent’s house, their gym/yoga studio, or an outdoor setup (in the warmer months) for their daily showers. They seem to have the flexibility to make this pretty unusual living situation work for both of them. So what did we do—and what are we currently doing—to make it work? Knowing we’d be sharing the space as we were designing the house, we added many features absent in most other tiny house designs (often designed with only one occupant in mind). We included generous “his” and “hers” closet spaces in loft. We added an extra fold-down workstation, so both of us could work at home at the same time (and not have our backs touching with Anjali seated at the kitchen table). We included a queen bed in loft, still leaving plenty of storage space (we accomplished this by cantilevering the loft out 18 inches form the footprint of the house, adding that much more loft space). We also added extra shelving, wrapping all around the perimeter of the living space, giving us a considerable amount of space for books, Anjali’s violin, etc. 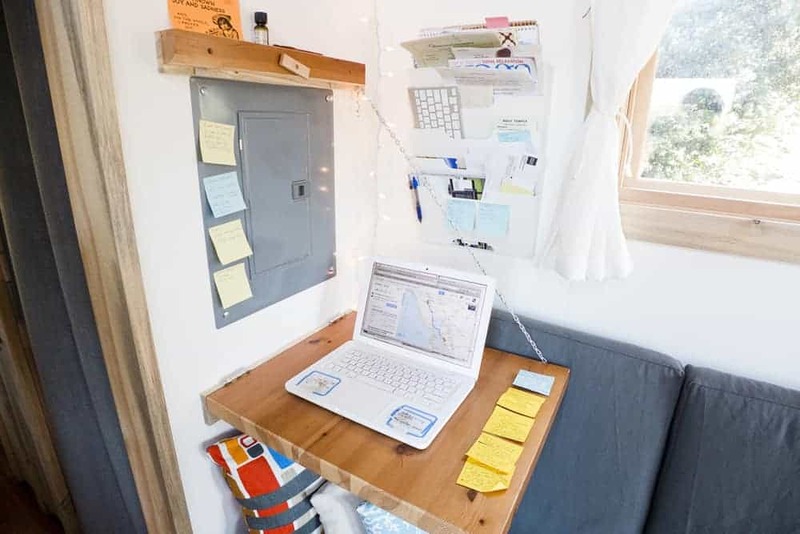 It seems that those who choose tiny house living are often self-employed (writers, online marketers, or web designers/developers, like myself). This brings up additional challenges since it means potentially a lot more time spent at home. But what if you AND your partner are self-employed? Anjali also works from home most of the time and many afternoons we both use the house as our home office, working a few feet apart. How do we maintain sanity, given so many hours in such close proximity? We’re not saying we’re totally sane all the time, but for the sake of this article, Here’s how. I work half of each day out of the house. I quickly became a regular at my favorite coffee shop here in Sebastopol (an amazing local roaster called Taylor Maid Farms). I chose to start doing this long before I started living in a tiny house, simply because my life as a whole felt much more balanced when I did not spend all day at home. Plus, even though I do not interact with others all that much (I need to keep my head down and focused on my work for the most part), working around other people provides me with a much greater sense of community than I’d get if at home all day. Most importantly, though, this gives Ani the house all to herself in the morning, so she can go about her morning routine, focus on her own work, or even prep lunch without having to share the small kitchen – this helps her gain some of the peace of mind and life energy that comes from being alone (we are both introverts, so this is important to us). As previously mentioned, there are stretches of time in the afternoon when we both work in the house. This is not a huge issue since we designed the space to accommodate two workstations (I have a fixed desk, and she almost exclusively uses the standing, fold-down desk). She then often leaves later in the afternoon for a yoga class or what have you, and I finish the day with a couple of hours of alone time to focus. This routine has proven to be a nice balance, and is one that was created very intentionally as a way to both share the space and allow us to get good work done throughout the day, without too much distraction. Obviously in a tiny house, floor space is minimal, so any needs that require physical space (yoga, dancing, large creative work projects) might require regular trips out to town, and might require investing in a membership of some kind or relying on your greater community to find the space you need. You may need to join a gym or yoga studio to get your sweat on outside of the house, even if that was an activity you were free to do at home in the past. But what about the needs that are specific to couples? We all know the space is small, and can be limiting in the physical sense, but there is also a psychological need for space, silence and alone time. These qualities are essential to happy life as a couple in a tiny house. That could mean the alone time needed for “girls night” (Anjali and our dog, Anya) or just some quiet reading or mediation time. Or what about when I want to watch the dark, scary shows on Netflix when Anjali has no interest? These are instances that we specifically plan for in our weekly routine. We’ve each made it a point to leave the house some evenings during the week to give the other time and space for whatever he or she may choose. That means I’ll go to the gym one night, giving Anjali space to do self-care. Or I’ll catch up on my favorite TV show while she nannies or goes to an evening event. I might go to a movie or spend time with a men’s group I belong to, while she spends a couple of hours with a cup of tea and a good book. The particular physical features we designed into the house, along with these very intentional time/space arrangements (and sometimes compromises) are what make sharing such a small space possible. Anjali admits that she has had more difficulty adjusting to the close quarters, and the repercussions it can have on relationship polarity, and has more she could share on the subject…maybe we can convince her to take a break from paper writing to take another stab at a blog post (other than editing mine). This is a very important topic and one we feel deserves even more attention. 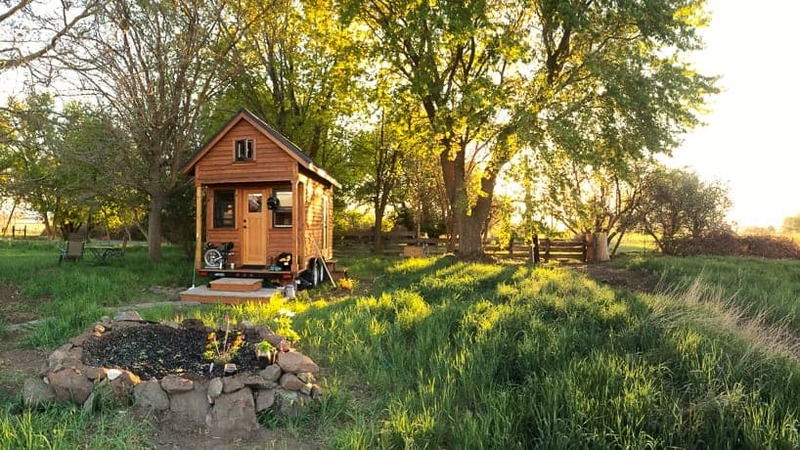 Do you live in a tiny house with your partner? What’s your experience? As a heads up, although the design of our home is modeled after Dee’s plumbing-free house, Tammy and I do have plumbing. We don’t have a flush toilet in the house, but we do have fresh water plumbed in and grey water plumbed out to a catchment system. We even have plumbing set up for a shower, however we never use the shower. Oh no! Sorry, I should have done some fact-checking first! I’ll fix it. I knew you didn’t really shower at the house, so I just figured you didn’t have plumbing. My bad! Im very interested in living tiny and I dont think that spending all day long next to your partner takes a toll on you or the relationship at all.. We have a huge house (3 bedrooms) but since we’re both in medical school we spend a lot of hours reading next to each other 😀 We really like each other (that the most important) and of course trying to please the other person is important 🙂 So if one of us ever needs to go somewhere o be alone we do that. I love your routine, thanks for sharing! Anyone living in a tiny house with a toddler? Stumbled on your site searching “painted plywood,” or something. I am moved to chime in (to what I expect is a din of excitement): How utterly fantastic! I’m sure it’s not as easy as some romantics could convince themselves, but what a load of crap you have taken off your plates, not to mention the collective plate. I am very impressed with the virtual seamless ness of the plywood installation, and your house looks enormous from the inside. Everybody must ask to move in? Enjoy. Your site is appreciated. Thank you for sharing your experience. My hubby and I worked together at home for years, then became truck drivers and lived in a truck for close to a year. So while we’re not yet in a tiny home, we already know what works for us. We are both introverts and require a lot of alone time, which is handy as we each “get” the other’s needs. We can sit in bed and read of web surf without talking and be fine. But the handiest bit is that he is an early bird and I am a night owl. He always has several hours by himself in the morning and consequently I have several in the evening. We plan our day, whether it involves joint or individual projects, during the overlapping portion.